Available now for the iPhone and iPod touch on the App Store! 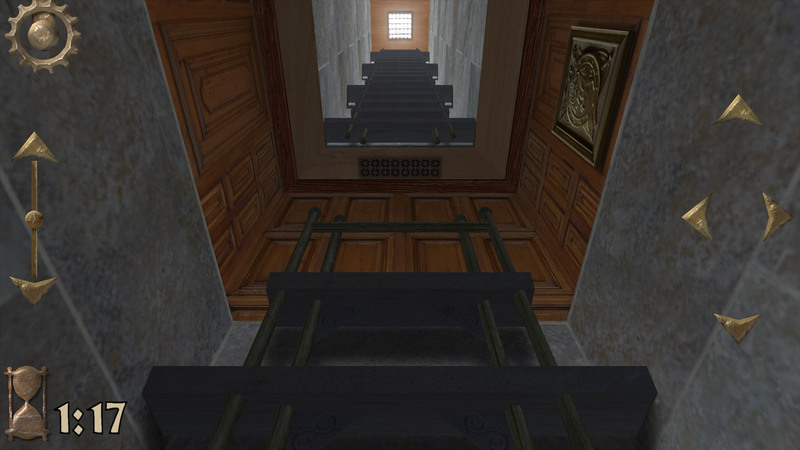 Not just another 2D maze dressed up in 3D, this is a real three-dimensional maze game where you must climb up and down ladders in your quest to find the exit at the top of a mystifying maze. 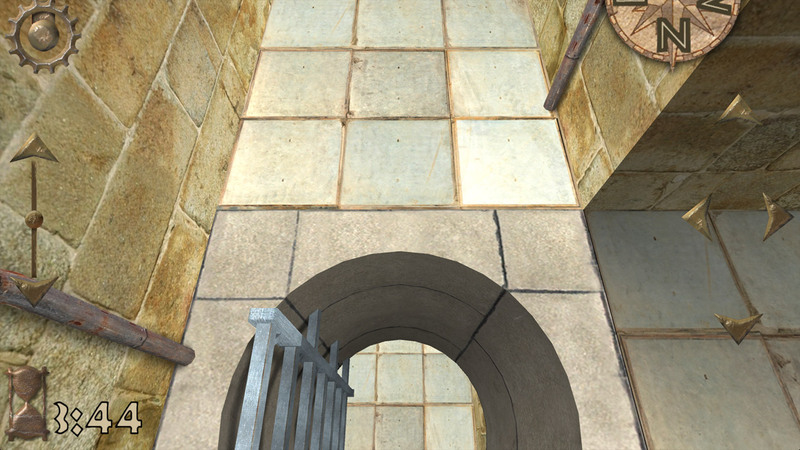 The path is twisting and devious, so be careful—you might have to go down to go up! Version 2.0 with native support for all iOS devices now available! 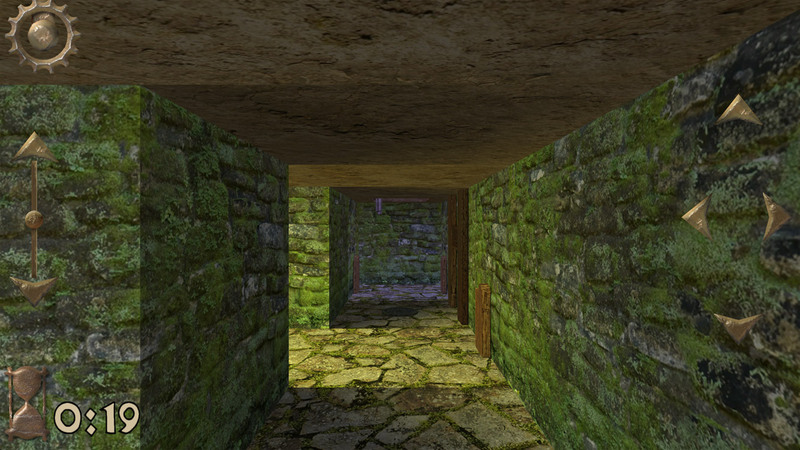 Watch the video on YouTube to see Realmaze3D in action. Fantastic lighting effects, beautiful graphics, and a sublime soundscape combine to create a mysterious atmosphere that's just as fun to get lost in as it is to escape from. Fluid movement and smooth controls make an enjoyable experience you'll keep coming back to. With multiple sizes and millions of possible mazes, it's never the same game twice! Runs natively on iPhones and iPads with updated high-res graphics. Player-friendly: always resume an interrupted game wherever you left off, at any time. Play your iPod music if you like. Touch or tilt control, or a combination of both. Tilt is auto-calibrated whenever you start or pause a game. Optional compass helps you get your bearings. If you get really lost, you can leave a trail of breadcrumbs behind to keep track of where you've been. 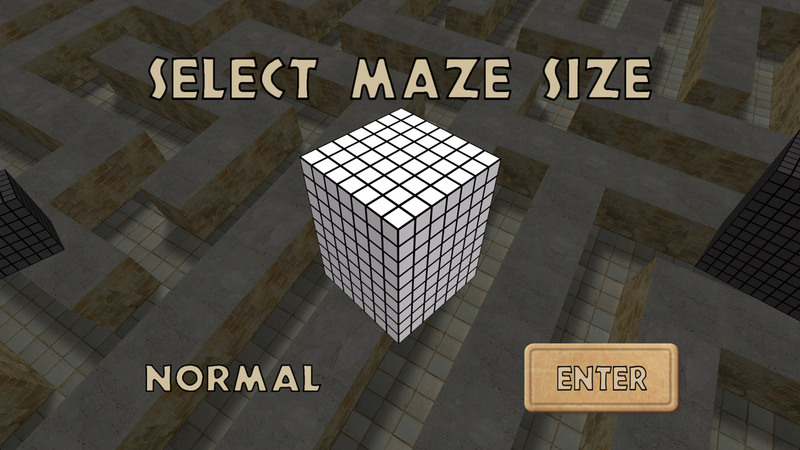 Five different maze sizes from Tiny through Insane will keep you busy whether you just have a minute or two, or want a real challenge. Best times list for each maze size, so you can keep track of how fast you can escape. Challenge players around the world for the best time in the Daily Maze Challenge, with a new maze added every day (updated midnight Pacific time). 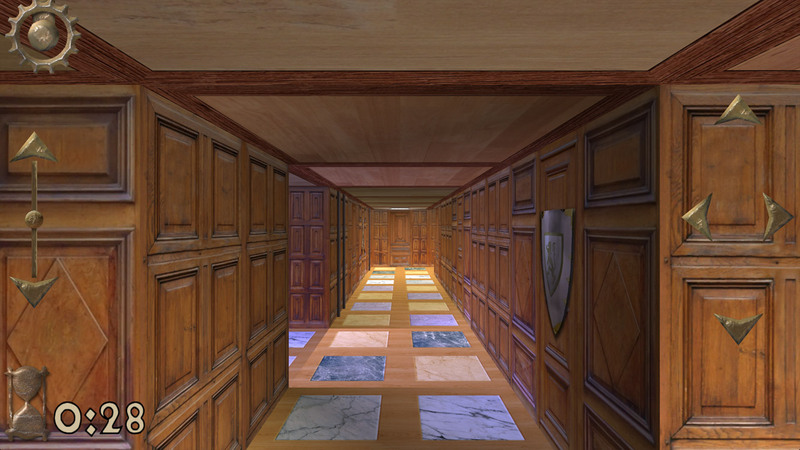 Scroll through a multi-level overview when completing a maze. Visited squares are shown in green, so you can see how well you did.